After more than two centuries of deforestation, non-native tree plantings, building construction, and massive disturbance, including live-ammunition drills and grazing, it is remarkable that any native species survive, but 60 hectares of the Presidio (10 percent of the total area) support a fragmented mosaic of native plant communities. These communities provide habitat for 12 rare plant species and subspecies, including four federally-listed species. The last wild individual of the Presidio manzanita (Arctostaphylos hookeri ssp. ravenii) was first located in 1952 by Peter H. Raven, now director of the Missouri Botanical Garden, and is still thriving nearly fifty years later. The Presidio also provides refuge for two other local endemics, the Presidio clarkia (Clarkia franciscana, an annual in the Onagraceae) and the San Francisco lessingia (Lessingia germanorum, an annual in the Asteraceae). These rare plants linger on in equally rare plant communities. Serpentine grasslands are among the most vulnerable of these. Occasional and patchy even in prehistoric San Francisco, only a few acres of these communities remain. Surrounded by inhospitable habitat and isolated from similar communities, these areas are especially vulnerable to species attrition. Disturbance associated with intensive human use has dramatically affected the grasslands. Domestic pets cause additional disturbance by digging for gophers and by depositing nitrogen-rich feces, allowing even more non-native annual grasses to become established. Annual plants like the endangered Presidio clarkia, the San Francisco owls clover (Triphysaria floribunda), and the Marin dwarf-flax (Hesperolinon congestum) have a difficult time establishing in the thick thatch created by non-native grasses. Two serpentine seeps provide refuge for the rare Franciscan thistle (Cirsium andrewsii) which has been otherwise eliminated from its namesake peninsula (a few other populations occur in Marin). The endangered San Francisco lessingia is doing much better thanks to National Park Service and volunteer efforts to expand its remnant dune habitat at the Presidio. Although this species once occurred throughout the extensive dunes of San Francisco, the Presidio harbors four of the last five populations in the world (the fifth is on private land in Daly City). Its open sandy habitat has become quite rare after two centuries of landscape transformation and the unchecked spread of invasive non-native plant species such as iceplant (Carpobrotus edulis) and European beach grass (Ammophila arenaria). 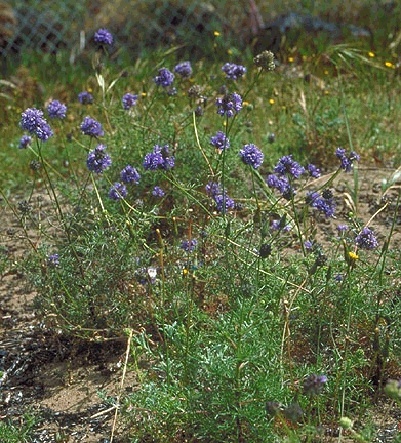 San Francisco lessingia and other rare dune annuals such as dune gilia (Gilia capitata ssp. chamissonis) and the San Francisco spineflower (Chorizanthe cuspidata var. cuspidata) have responded favorably to dune restoration efforts at the Presidio and Fort Funston. In the Lobos Creek Valley the San Francisco lessingia numbered in the hundreds during the drought years of the mid to late 1980s. 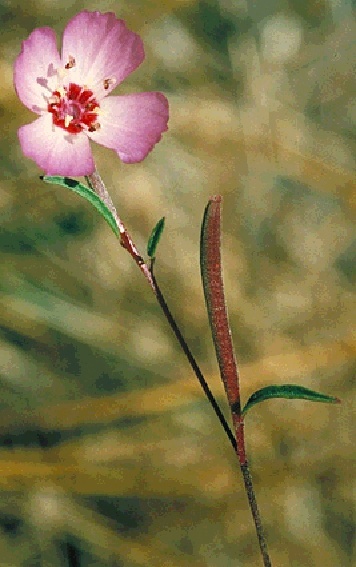 By 1994, after several years of better rainfall, there were approximately seven thousand individuals of this annual plant. By 1998, after several years of extensive non-native plant removal and other dune restoration efforts, its numbers had climbed to more than a million! It's still endangered since its range is so restricted.